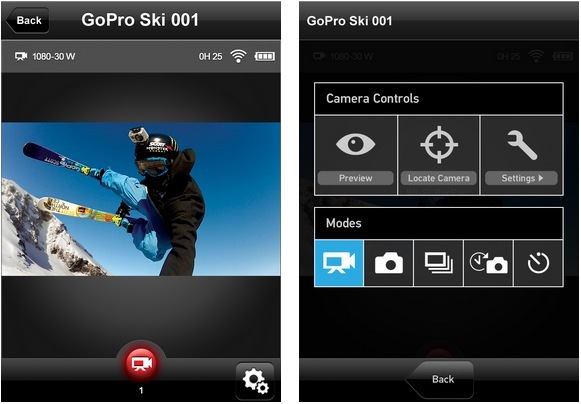 The GoPro App enables full camera control and live scene preview for easy shot framing on smartphones or tablets. Additionally, you get live scene-preview prior to and during video and photo capture. Additional features include real time monitoring of the camera vitals including battery life and SD card capacity, as well as the ability to sync GoPro camera date and time to your smartphone or tablet. The app also provides daily GoPro Photo of the Day and Video of the Day updates. The GoPro App is already available in the iTunes App Store and should be available soon in the Google Play Store. GoPro’s definition of “soon” usually counts in the months. It’s really not fair to say the Android app has been launched, especially when they’re unwilling to give a release date. 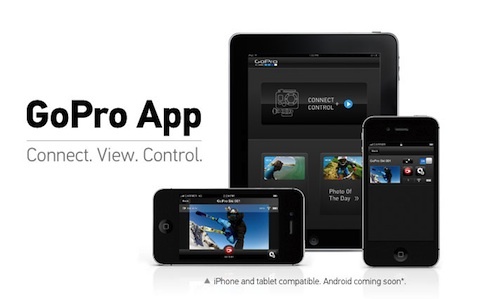 The GoPro App for Android devices will be available about 2 weeks after the release of the GoPro App for iOS devices. how long are 2 gorpo weeks? I’ve installed it, but there is video latency. But at least, there’s something ! Maybe Gopro can give the man a job! PS you have to install VPLAYER as well.